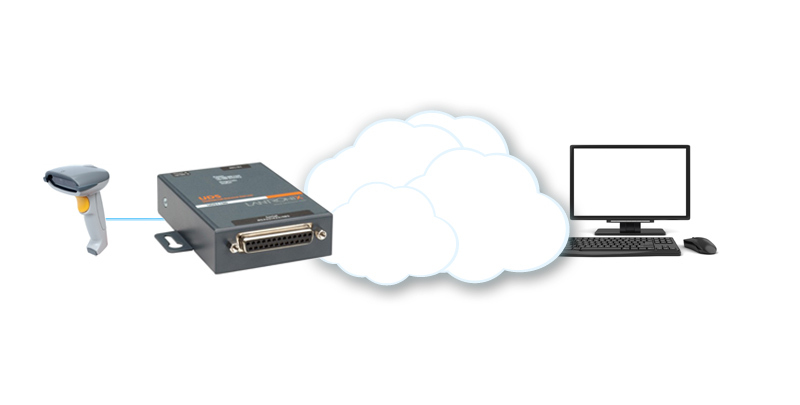 Do you want to convert your serial peripheral devices to make them accessible on the Ethernet network? This is possible thanks to solutions for converting serial devices (RS-232/422/485) for Ethernet use. In fact, serial converters allow the remote control of your devices (badge readers, barcode readers, security systems, etc.). You no longer need to have a PC next to your device which will make your job much easier! Lantronix and Moxa offer a range of models with one or more serial ports. These RS232 or RS485 converters are also available as wireless variants as well as with one or two Ethernet ports. It is also possible to install a small adapter module in your devices. How do you access the serial ports? by adding a second unit at the PC which then acts as a receiver/adapter. Why have a second converter? It sometimes happens that the client’s software (the serial device) is not compatible with the PC redirector. Or maybe you just don’t want anything to be installed on the PC. A second unit is then the ideal solution. 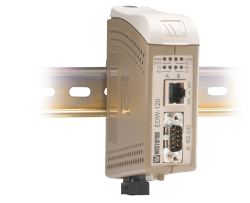 The serial IP converters from Westermo convert the RS-232/422/485 and Ethernet standards in extreme industrial situations (temperature fluctuations, high levels of dust, etc.). These small units are designed to be fixed to DIN rails (metal rails for industrial equipment).